I’ll make an admission that most writers won’t. I don’t read very much for pleasure. 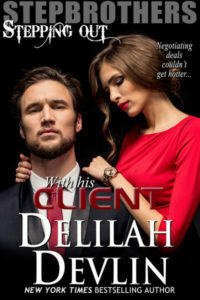 Between my own writing and editing jobs, I don’t want to spend more time looking at the written word for pleasure. But I consider movies a legitimate alternative to reading. The acting was very, very good. Especially that of Matthew McConaughey, who played a man hiding on a tiny sandbar of an island in the middle of a river while he waited for his girlfriend (Reese Witherspoon) to join him on the run. He was wanted for murder. And even though he stole every scene he appeared in, he wasn’t the protagonist, the main character, of the story. This was a boy’s coming of age story, and the boy who was at the center of the story shared many parallels with MC’s character. Both characters had strong arcs, both had problems to work through and events to overcome before the end of the movie, and that’s what makes for good fiction. I’ll admit this kind of realism isn’t my usual cup of tea, but I recently watched another truly amazing movie—also about “real” folk from my region of the country. 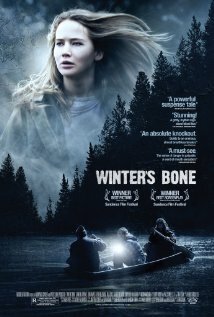 In Winter’s Bone, Jennifer Lawrence plays an Ozark Mountain girl who hunts for her drug-dealing dad to make sure he shows up for his trial in order to save her home. I never appreciated her as an actress before this film. But she was so real, so dead-on in her performance as the girl who had so many hurdles to overcome in her quest, I now count myself as a fan. The point is, I watched those movies, but used the same eye I would have reading a book to dissect the story/craft elements. I studied the director’s transitions from one scene to the next. 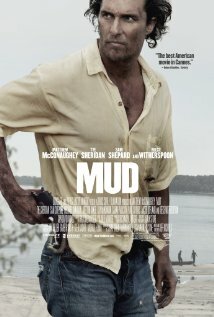 In Mud, I noted the symbolism of Mud’s lucky shirt—that he wore it until it was rags, that he discarded it when he gave up on himself, and that he tore it into strips to save the boy’s life. I paid attention to their dialogue, their voices. There can be poetry in “real” dialogue. And I find that when I need to “hear” a Cajun voice in my ear, I reach for movies like The Big Easy and Little Chenier. 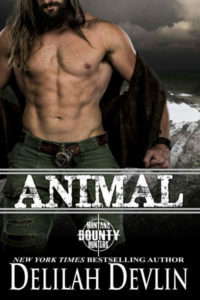 When I want gritty and real for a K&R rescue for a book, and a hero who has issues but needs to reawaken his heart, I reach for Proof of Life. Not to imitate, but to climb into that world and pull the rich, visual and aural details around me. And if I need to wind down and want straight entertainment, which is mostly why I watch movies, I want the latest Star Trek or Fast and Furious. I love the cheap thrills like anyone else. And those are mostly what fill my DVD rack. Have any movies inspired you lately? Answer for a chance to win one of these recent releases. This entry was posted on Saturday, December 5th, 2015 at 11:21 am in Contests!, General. You can feed this entry. Both comments and pings are currently closed. The Hunger Games, Trilogy…all it takes is one to make a difference…and Paper Town, always believe in yourself. I’m also a avid film fan, when I go I see two movies. I also view movies as a book and if you want to SEE a good book go check out “Secret in Their Eyes”; it was a page turner. I have to say I don’t see many movies. It’s very hard to tear me away from my reading long enough to watch anything. I like making my own visual pictures. Movies don’t often live up to my fantasies. We just watched “Interstellar” last night and like “2001 A Space Odyssey” it stop and makes you think about “Life”. Very good movie!